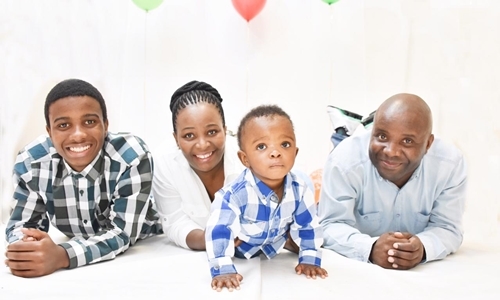 Four miscarriages and one baby death later: ex-private hospital patient thanks KZN Health Department for her "Miracle-Baby"
After suffering four miscarriages and losing a prematurely-born baby at seven months, Durban mother Thembisile Mabaso had just about lost all hope of having a second child. She almost accepted that she would remain a mother to her then only son, who is 18 years old. 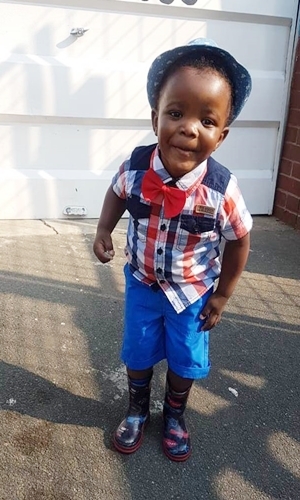 But today, with help and support from staff at several provincial government hospitals, this 43 year-old resident of Woodlands is the proud mother of a cheerful two year-old baby boy, who was born at Inkosi Albert Luthuli Central Hospital (IALCH) in August 2016. Now, a few days before the start of February – which is Reproductive Health Month – Mrs Mabaso has shared her journey of despair, trauma and hopelessness; and the unbridled joy of becoming a mother against all odds, thanks to the KwaZulu-Natal Department of Health. Ms Mabaso, who is a project co-ordinator at the Department of Rural Development and Land Reform, becomes emotional as she recounts how she first had to undergo different types of fertility treatments – while battling stigma - after struggling to conceive since 2003. After finally falling pregnant in 2009, she miscarried at 7 weeks. She had another miscarriage in 2010, at eight weeks. Yet another unsuccessful pregnancy followed. In 2014, she fell pregnant again, but gave birth prematurely, to a 680g baby, at just over 26 weeks. The baby was admitted for seven months to the neonatal intensive care unit (NICU) at a private healthcare facility, but eventually passed away - allegedly due to poor infection prevention and control. “In the private sector, they never did an investigation to see why I was miscarrying. They probably never saw the need,” she recalls. Disheartened, she decided to stop trying to conceive. She requested contraceptives from her doctor who advised that since she was overweight, she could not possibly conceive and thus should not bother. He added that if she wished to fall pregnant, she would have to lose weight. Miraculously, she soon found herself pregnant again. This time, however, she sought the help of the public health sector. She was to be pleasantly surprised. During her second visit to King Edward, she was referred to Inkosi Albert Luthuli Central Hospital. There, she received attention from several healthcare professionals, including maternal healthcare specialists such as Prof Motshedisi Sebitloane, who is also the University of KwaZulu-Natal’s Head of Obstetrics and Gynaecology Department. Mrs Mabaso remains concerned, however, about the stigma and lack of support, at community level, faced by women with infertility problems and those who miscarry. She says attitudes must change. “When you miscarry you’re made to feel like you’re a failure when you’re among other women. You’re made to feel unworthy just because you ‘could not carry a baby for nine months.’ It is very painful, but many people are very scared to talk about it. Some women get depressed to the point of wanting to commit suicide. It also affects relations between them and their in-laws because it is made to seem like they’re the cause for their own infertility, or for having a miscarriage. “I wish that people who cannot conceive or keep losing their babies could receive support, just like those who suffer from other ailments, who have support groups or structures.” She urges these women not to lose hope.